Last November Chris & the Norman Beaker Band played a very special show at the World Famous 100 Club in London. These beautiful, 2 colour, hand pulled, screen printed posters were produced to commemorate the show, but weren’t sold on the night! We’ve been so busy filming we haven’t had the chance to get these online, until now! 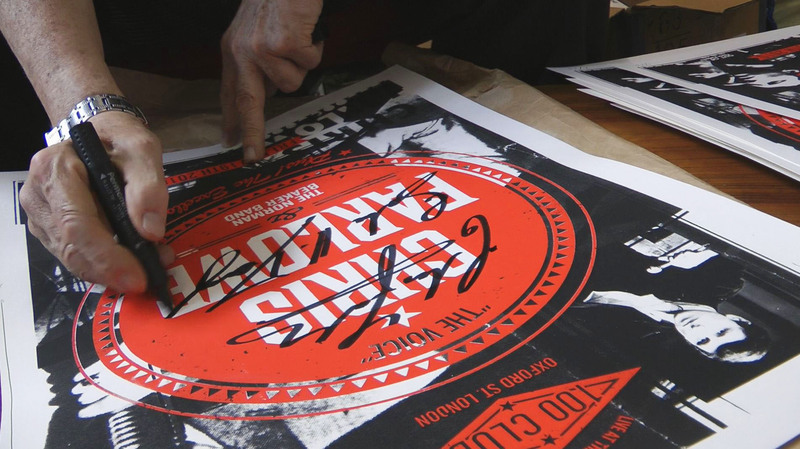 These are a limited edition of 25, each poster is signed by Chris, and one lucky buyer will get a one-off poster signed ‘Chris Farlowe‘ AND ‘John H. Deighton‘ (Chris’ name at birth!). There will not be a reprint of these posters, so once they’re gone, they’re gone! 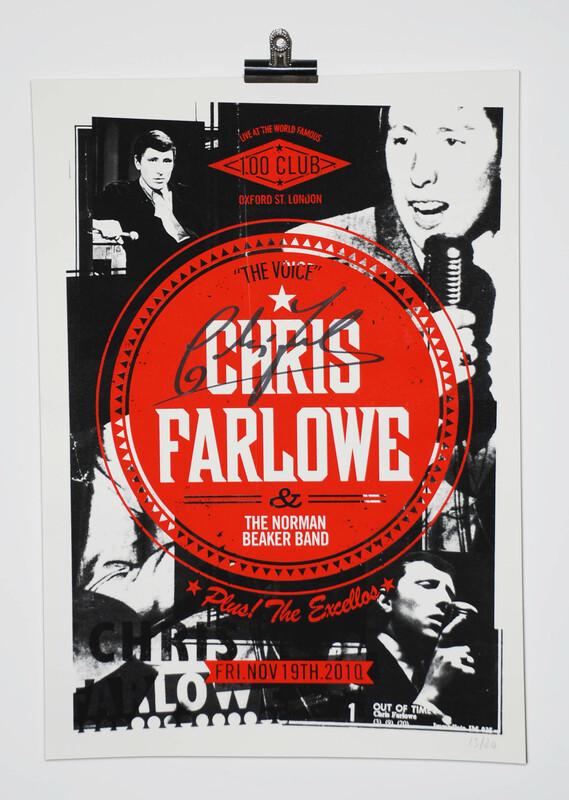 All proceeds will help towards the production of the film, Out of Time : A film about Chris Farlowe. Triple A Films are a small independent film company, and we are very grateful for your support in making this film about Chris.